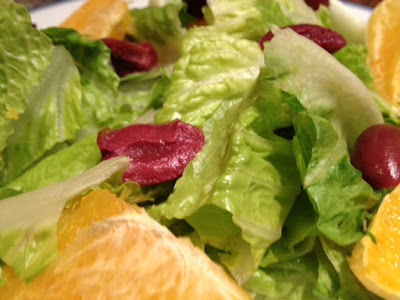 This salad is suggested to go with Ricotta Spinach Pasta it is from Cooking Light as well. For once, I actually followed the suggested pairing. It's a nice change but still simple and easy enough to pull together in 5 minutes. It could be a nice summery accompanyment to pretty much any main course. Combine first 5 ingredients in a large bowl. Add remaining ingredients, toss gently.